I think I may be gradient obsessed. I somewhat successfully with my gradient skittles so I thought I would try again. It took me awhile to think about what type of gradient I wanted to do. Being neon obsessed I was thinking of doing a neon gradient, but I was unsure as to which colors would blend well with each other. Plus, I didn't want to waste my summer neons if the gradient didn't go according to planned. 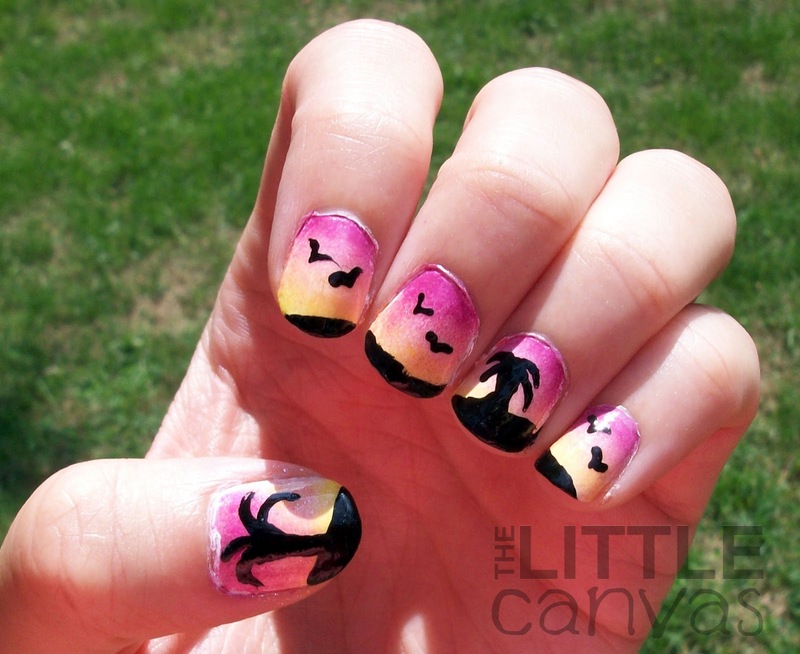 Then I remembered a sunset palm tree manicure by @MissMandyPete which I loved! At the time when I saw it, I was unsure how to do a gradient and was not confident enough with the technique to go for it. So, with her inspiration and a little gradient practice, I gave it a go. For this manicure, I started off with a base of white polish. To get the sunset look, I grabbed a fuchsia, coral, and yellow polish. Nothing is prettier to me than a sunset which goes from pink up in the sky to an orange color to a yellow by the sun itself. On the make up sponge, I painted on Sugar Plum, Luminary, and Let's Meet, dabbed on a paper plate then onto the nail. When I was satisfied with how the gradient looked, I quickly added a topcoat to even it out. With my striper, I added on the black beach french tips. 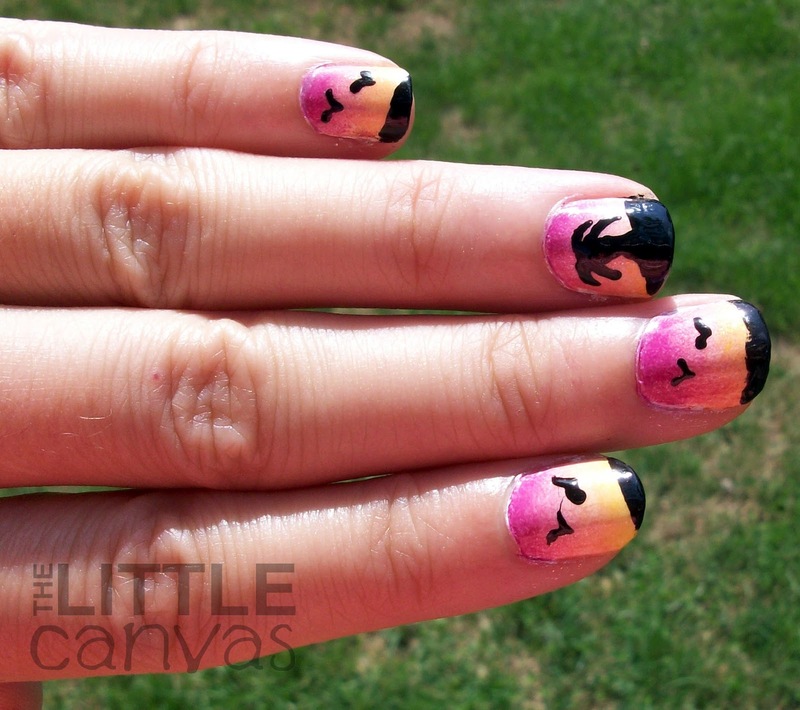 Using a toothpick, I drew on the palm tree and the little birdies. I think if I were to do these nails next time, I wouldn't have done the black tips on all the nails. It really covered the gorgeous coral to orange gradient I had going. You can see it on the pointer and thumb though. Overall, I loved this manicure. It was one of those that I could not stop looking at. Really made me want to go to the beach! One thing I need to work on with my gradients is full coverage. On my thumb and a few other nails there still was white polish around the cuticle that for the life of me I could not get the gradient on. Maybe that's just the shape of my nail? Who knows. 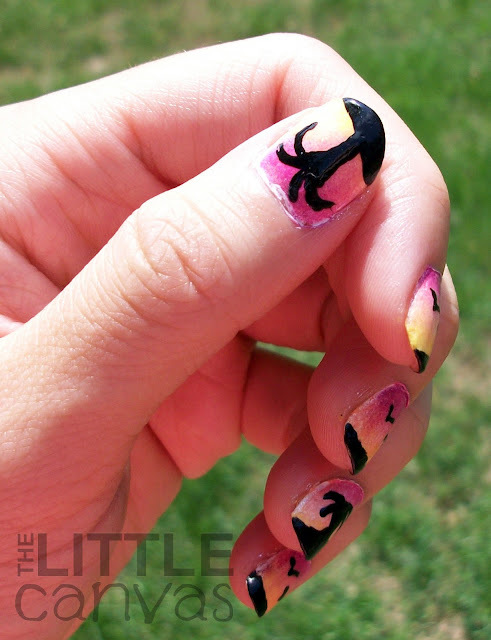 Have you done gradient manicures? How about gradients with nail art?? What are your favorite colors for a gradient? 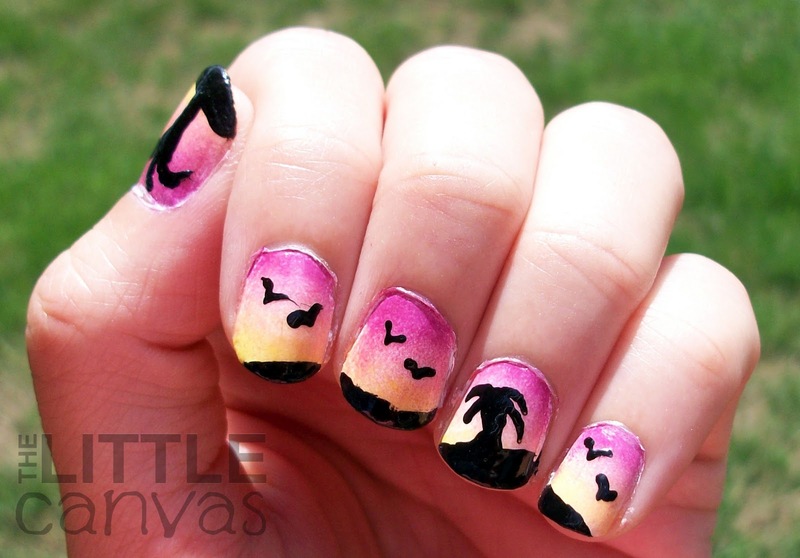 This looks so cool, I love how this gradient looks like a tropical sunset! 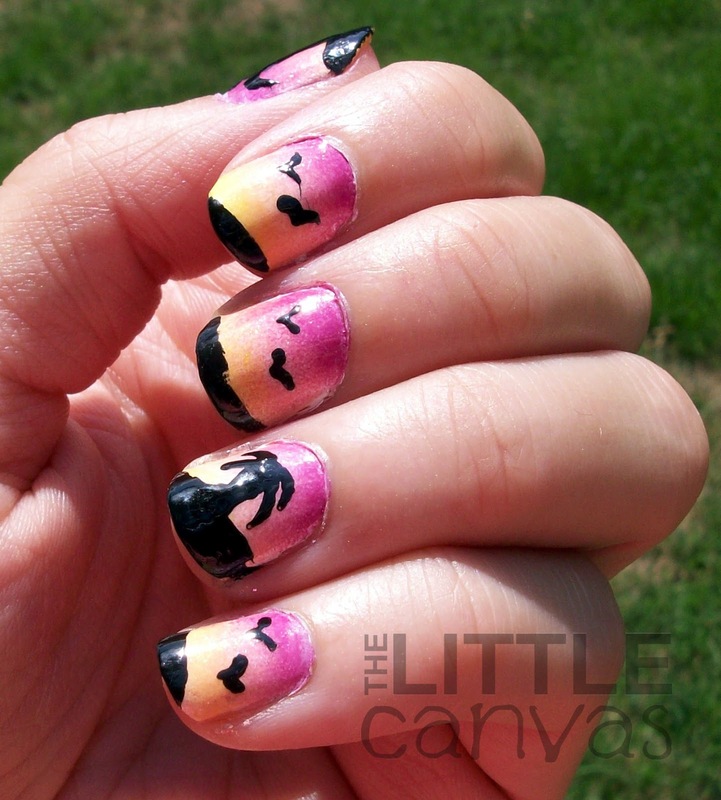 I loved this nails, but I agree with the black tips.. We're missing the beautiful yellow-orange in the tips!!! I've done ombre nails a few times on my nails and on friends' nails. I've never done nail art on them, but a little star stamped on the corner..
What did you do on your right hand? I had the exact pattern on my right hand! whenever i do my manicures, whatever is on my left, i put the identical on the right! i just fail at photographing my right hand so I rarely show them!